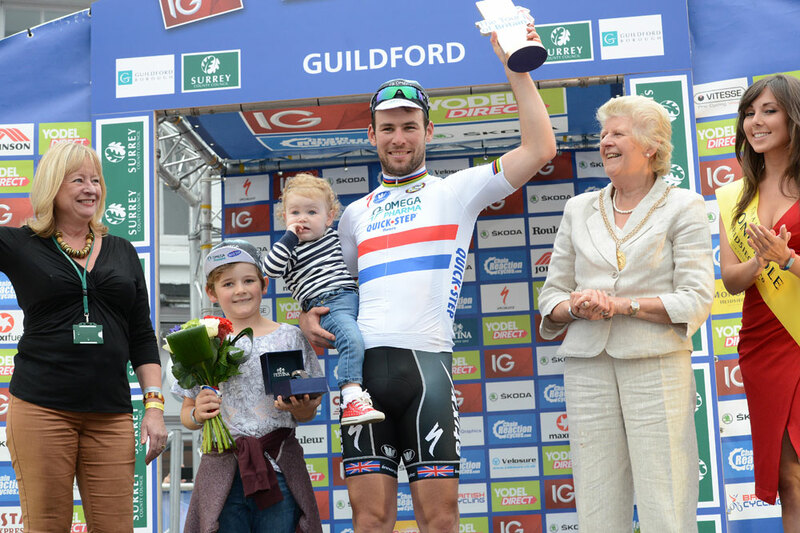 Mark Cavendish (Omega Pharma-QuickStep) took a thrilling win in Guildford to seal stage seven of the Tour of Britain on Saturday after a tough final sprint on the cobbles of Guildford. Elia Viviani (Cannondale) came home in second, with Gerald Ciolek (MTN Qhubeka) in third. 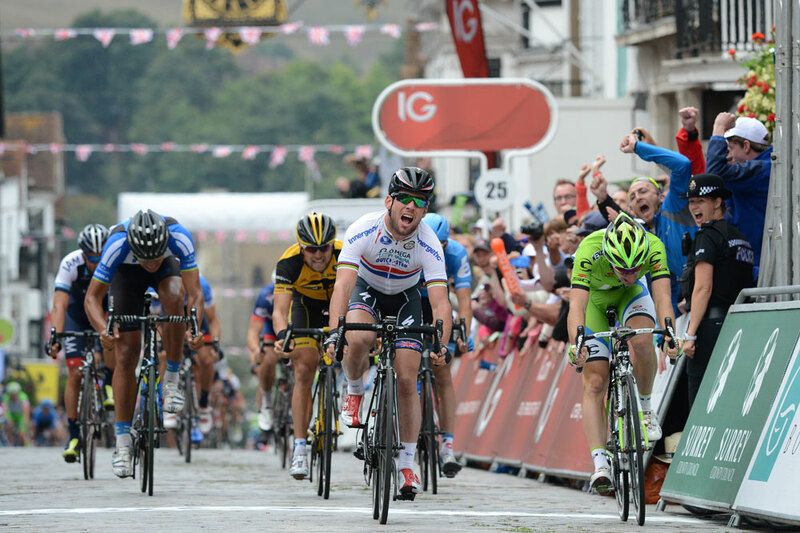 Cavendish won the stage to Guildford last year, and today’s win brings his ToB stage win tally to a record nine victories. 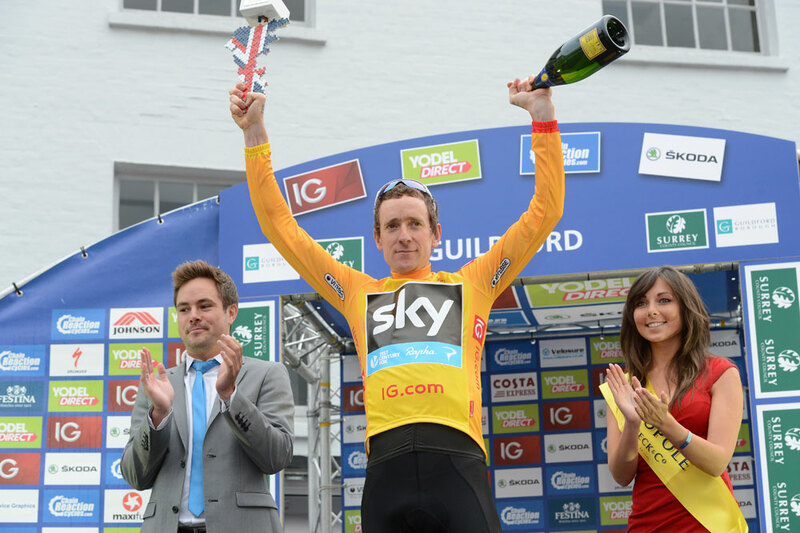 Bradley Wiggins (Sky) finished safely in the bunch to retain his overall lead in the race with one stage remaining, although his advantage over second-placed Martin Elmiger (IAM Cycling) slipped to 26 seconds. 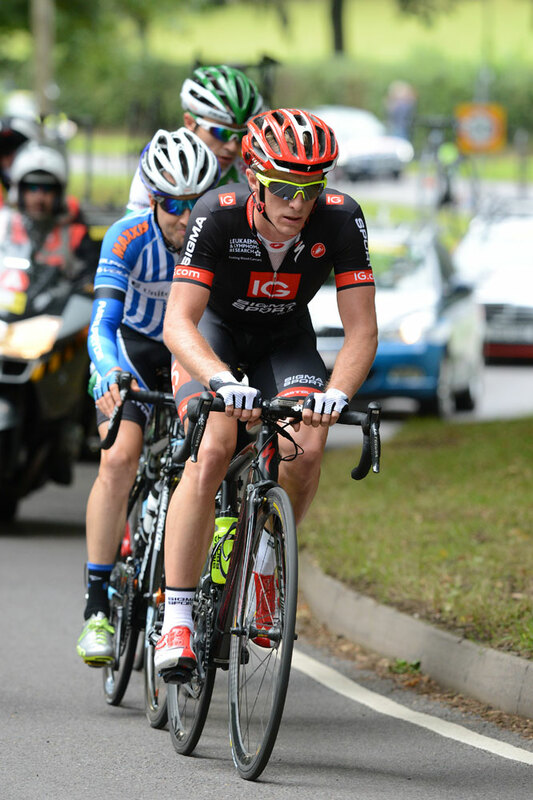 Stage six winner Simon Yates (Great Britain) is third at 1-06. The day’s breakaway consisted of British duo Kristian House (Rapha Condor) and Peter Williams (IG-Sigma Sport) along with Lucas Euser (UnitedHealthcare) and Christophe Laborie (Sojasun). Williams was on a mission to scoop up as many sprint points as he could during the stage, and won all three intermediate sprints to move into second place behind Angel Madrazo (Movistar) in that classification. Williams won the sprints prize last year, and will no doubt be gunning for more points during Sunday’s final stage. House did a smiliar job on the day’s mountain points, but Madrazo has already sealed the victory in that classification, making the prize his own with a collection of Skoda Yeti soft toys and flamboyant podium celebrations. The four-man break was caught with 8km to go, bringing the race together for a bunch sprint. 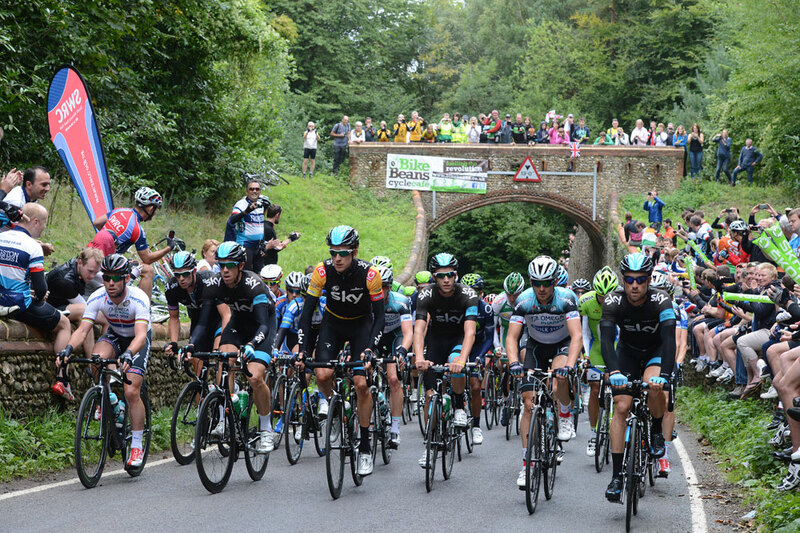 Cavendish’s Omega Pharma-QuickStep team led the peloton for much of the last 30km of the race, and beat off challenges from rival teams going into the final cobbled climb to the line in Guildford. Petacchi led Cavendish into the climb, with only Blaz for company. Viviani and Ciolek started to close in on Cavendish, with Viviani’s bike appearing to skip on the cobbles, causing him to lose momentum and with it the stage win.